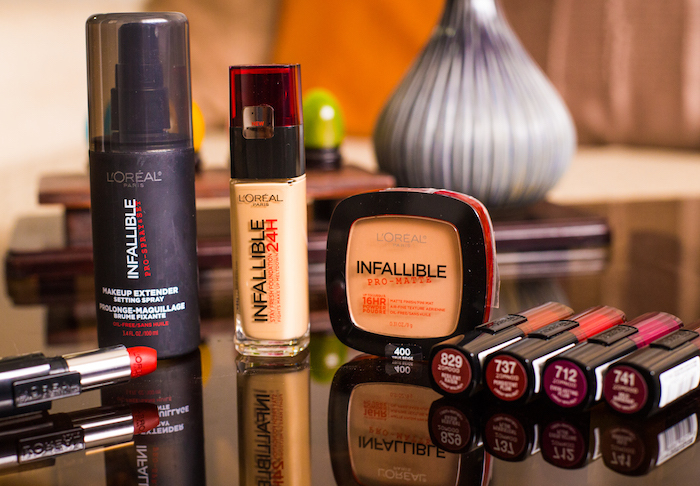 At the onset of summer (sometime March) 2016, L'Oreal Paris snuck in a widely anticipated range in the Philippine market. 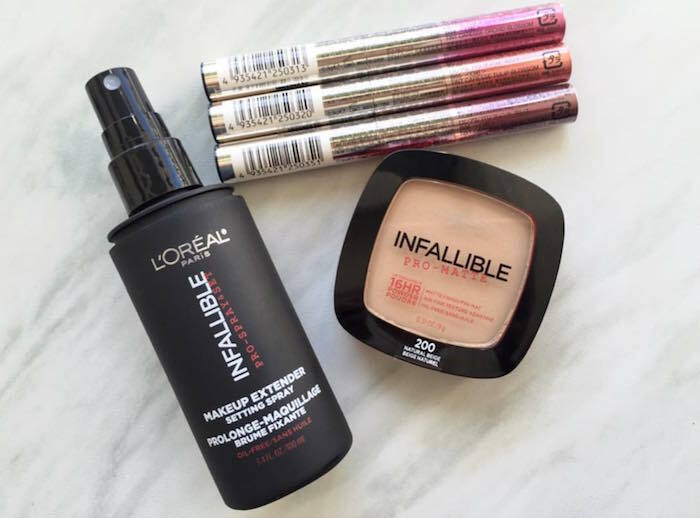 Being perpetually hot and humid, the INFALLIBLE range is full of promise and everyone's gone gaga over it, wiping out Instagram stores year round. The INFALLIBLE 16HR Pro-Matte Powder (Php 600) and INFALLIBLE Pro-Spray & Set Makeup Extender & Setting Spray (Php 500) duo came in first followed by the other two super stars from the said range. INFALLIBLE 24HR FOUNDATION (available in 6 shades locally, Php 700) is the first foundation from L'Oréal Makeup Designer/Paris that promises to fight makeup meltdown and keep you looking fresh all day. Lasting for up to 24 hours, Infallible 24HR Foundation’s formula gives flawless, full coverage that hides visible imperfections, and a demi-matte finish with no visible shine. Powered by a combination of Extreme Hold Pigments that adheres to skin, and Hydrating Hyaluron that gives optimum skin comfort, this longwearing foundation guarantees no transfer, no dry-out, and no mask effect from AM to PM. The second new product from the Infallible range ends your search for lip color that lasts from morning coffee to evening wine. Bid adieu to fading and flaking, and welcome sophisticated, high-impact color that lasts all day – new INFALLIBLE 10HR LIPSTICK (available in 20 shades locally, Php 500), the #NEVERFAIL lip color from L'Oréal Makeup Designer/Paris stays fresh and vibrant for up to 10 hours. Infused hydrating vitamin E, Infallible 10HR Lipstick has a creamy, easy-to-glide formula that applies evenly without feeling tacky or dry, and settles into a demi-matte finish. I've tried all of them on various circumstances and while they're very good for the humid weather wear, the liquid foundation just won't last me past the 8 hour mark (not that I would need something on for 24 hours anyway). The powder foundation's great to either be brushed on for an airbrush finish or patted on just the t-zone to ensure that you're shine-free all day. For a plakado (super flawless) and seamless finish, the setting spray is heaven sent. Just keep the bottle at an arm's length away to get the finest mist possible. The INFALLIBLE 10HR Lipsticks are pretty big here in the US and most Target and HEB stores I've been to are dry on the peaches and pinks; all I'm left with are wines, bricks, and reds (which I don't mind really because Everlasting Plum and Ravishing Red are my cups of tea). I've had the chance to wear some of them and they're indeed very comfortable to wear. What I learned overtime's that with thousands of lipsticks available out there, the sweet spot between comfort and longevity's very hard to find. These are hits and misses based on my experience since any colour with shine didn't stay longer than 2 hours on me. The flattest ones (Ravishing Red, Forever Fuchsia, Persistent Plum) stained on for 6-7 hours tops. Will I recommend them? Yes. 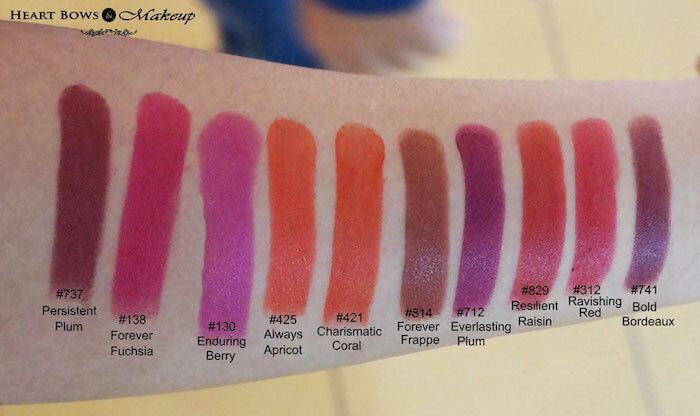 While they don't stay on for 10 hours, I like these new lipsticks because of the long wearing quality, great color selection, and overall comfort.